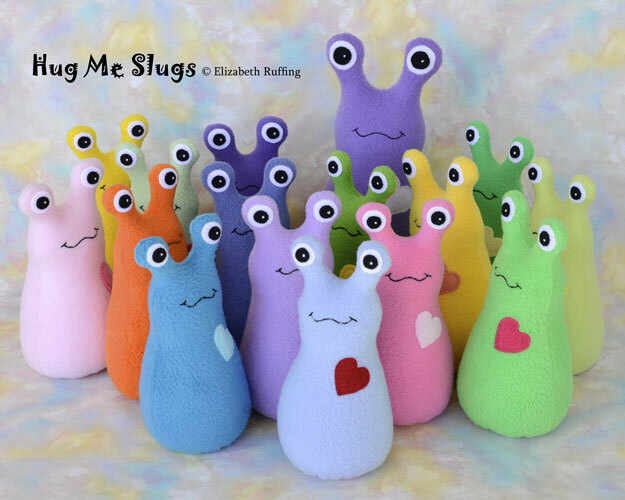 I put up a gang of slugs over in my Etsy toy shop today. Most of these are there. One already went on his way to a baby shower. I’ve been getting organized. 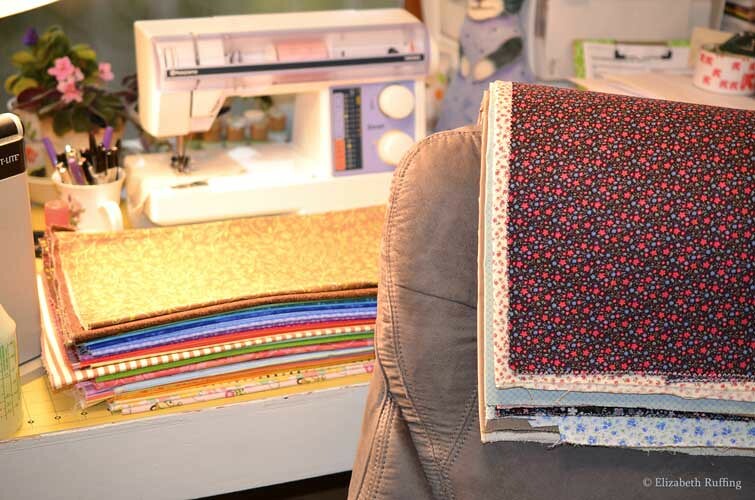 I even pressed and put away the big pile of quilting cottons that was taking over my ironing board. 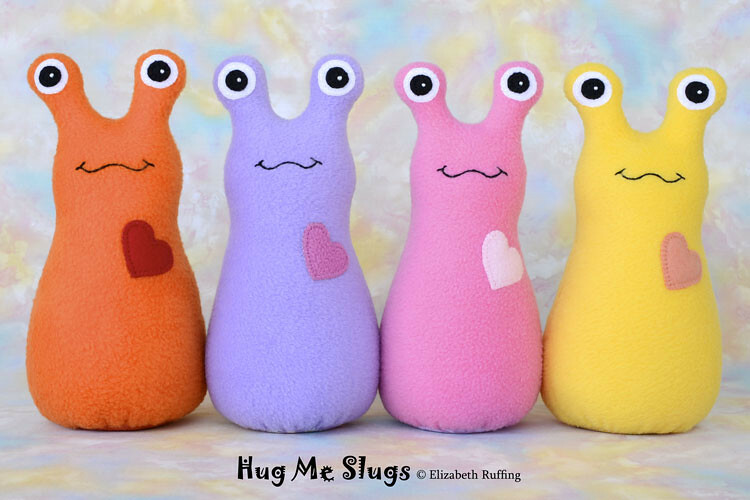 I also narrowed down my colors for custom Hug Me Slugs. 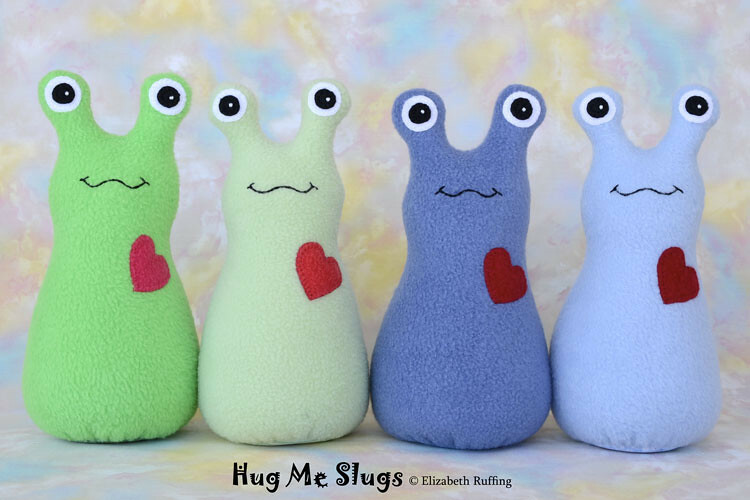 I’m putting a limited number of listings up for custom slugs in November, and I will probably hold off on taking custom orders past the first of December so I can get everything out on time without feeling frantic. I will see how it goes. 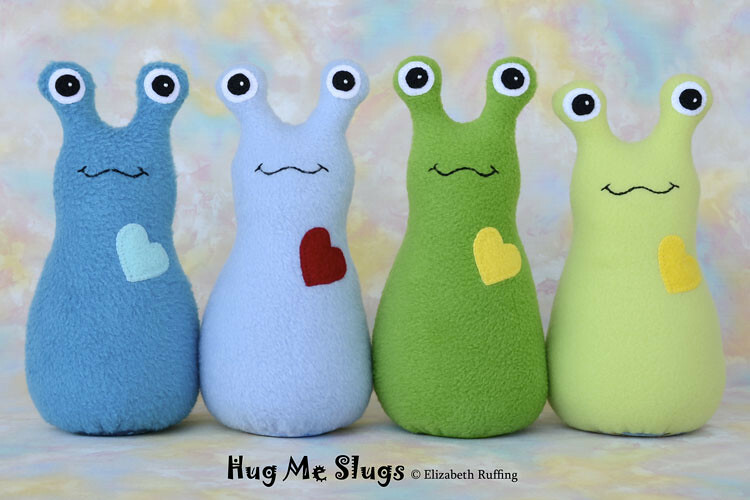 These first two sets are the colors I chose for the 9-inch custom Hug Me Slugs. 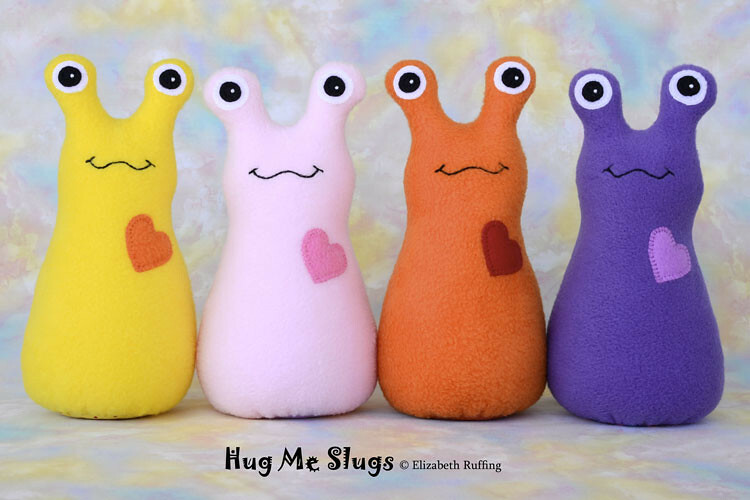 These second two sets are the colors I chose for 12-inch custom Hug Me Slugs. I still have many more colors than these, but I am going to try to make them into ready-made toys to increase the selection I have. I often wish I could make more than I do, and make everything more quickly than I do. 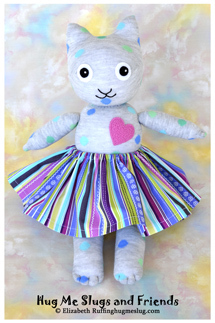 There is just no rushing these, when sewing so much by hand. I like the handmade look, and I like to make things well. 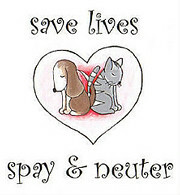 So, I am going to use my time as wisely as I can, and concentrate on doing a nice work. The kittens came out to run around the house today. They had lots of fun. We’re still settling them into bed in the laundry room at night. 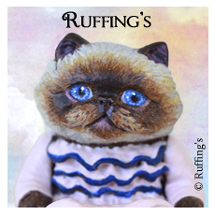 We lure them in with Fancy Feast and baby food. They’ll be ready to pop back out the laundry-room door in the morning. I’ll have to get some photos of them exploring and playing.